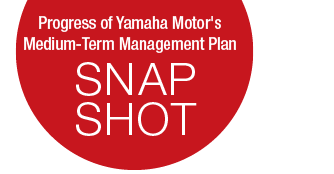 The first year under the Medium-Term Management Plan (MTP) marked a solid start toward the achievement of the MTP’s targets. Helped by a weaker yen, all businesses recorded net sales growth in fiscal 2013. In fiscal 2014, the second year under the MTP, we will address changes in the operating environment and strengthen and refine our business strategy, with a close eye on economic developments and trends in demand for our products in each market, as we work to achieve the MTP’s targets ahead of schedule. 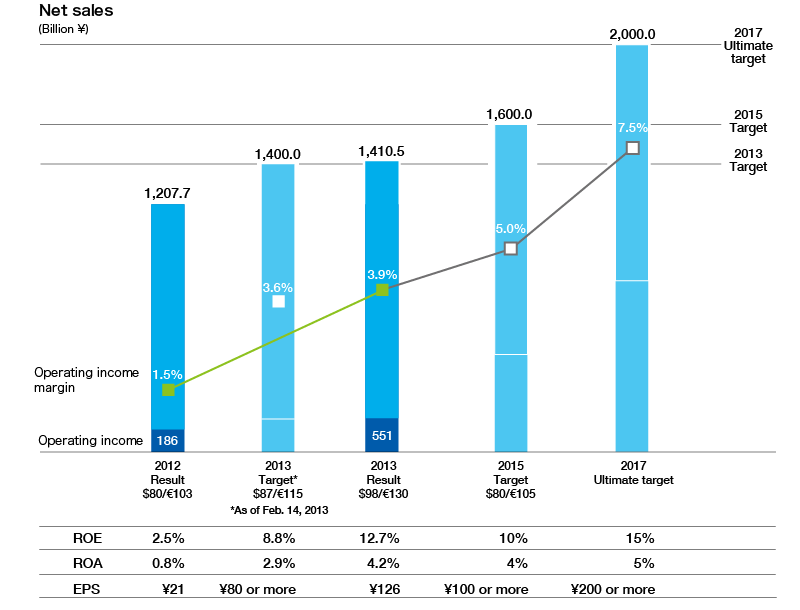 Unit sales in developed markets rose in fiscal 2013, with new model launches in Japan and North America resulting in growth in those markets, and an improvement in European sales during the second half of the year. In emerging markets, unit sales rose in India on growth in scooter demand and in Indonesia as overall demand recovered, but prolonged economic slowdowns led to declines in Thailand and Vietnam, for a slight decline overall. The outboard motor business recorded increased sales of large models in North America as a result of new model launches, and in emerging markets sales rose in Russia. Earnings in the personal watercraft and domestic boat businesses also showed a solid improvement. Cost reductions during fiscal 2013 totaled ¥10.4 billion, surpassing our target of ¥10.0 billion. We will continue to reduce costs during fiscal 2014, to achieve the targets set in the MTP. The motorcycle business continues to launch new models in markets around the world. New model launches during fiscal 2013 included the BOLT in North America, the MT-09 in Europe, and the RayZ in India. We continue to develop new models that will lead to increased sales again in fiscal 2014.